Russian Helicopter Systems (RHS), a Moscow-based private operator, received a new light helicopter Ansat. As the company spokesman told the Russian Aviation Insider, the new rotorcraft is a VIP version and will be used not only for passenger flights but for type training at the company’s flight center. With the first Ansat in medevac version owned by the Tatarstan Rebublican Clinical Hospital, Russian Helicopter System is now the second Russian civil operator of the type. The Holding also hopes Ansat will become the core type within its medical aviation development project. The contract with Russian Helicopters for one Ansat air ambulance was signed in September this year. The commissioning of the rotorcraft will be arranged through the finance lease provide by Sberbank Leasing. 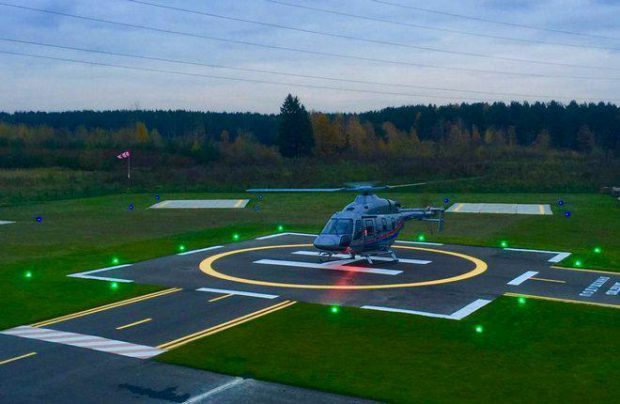 The delivery is scheduled for December this year, the helicopter is expected to go on patrol in Moscow region as well as perform flights within the city. Ansat is powered by a pair of PW207K turboshafts and can carry up to eight passengers or 1,234 kg of payload. It has a maximum take-off weight of 3,600 kg and a maximum range of 510 km. This type is also used as a training helicopter by the Russian Air Force.